Wed, August 15, 2018 6:00 P.M.
Want to preserve summer stone fruit? Learn how to safely and deliciously can with Naturally Sweet Food in Jars author and blogger at Food in Jars, Marisa McClellan. She’ll show you how to make a batch of Nectarine Jam, Peach Chutney, and a Spiced Plum Shrub. She'll also demonstrate how to use the boiling water bath method for safe, shelf-stable preservation. 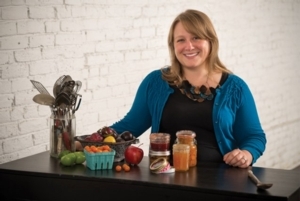 Marisa has taught canning and preserving for more than a decade and loves to share her knowledge and experience with new and experienced canners alike. Preregistration is required via Eventbrite; tickets are $15 per person.